When a study suggests that more than 90% of adults need health information to be written for a reading age of 9-11 years for them to fully understand it, great care should be taken to ensure patient literature is accessible and, therefore, effective. 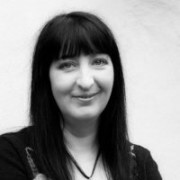 Flora Raffai of Findacure and Lizzie Perdeaux of Oxford Pharmagenesis review research on health literacy and suggest ways to ensure you get it right in pharmaphorum’s Deep Dive: Patient centricity edition. Read a summary of their in-depth article below or click here to read the full article. Health literacy describes people’s ability – either individually or with help from their social network – to access, understand, critically appraise and use health information and services to make decisions about their health. 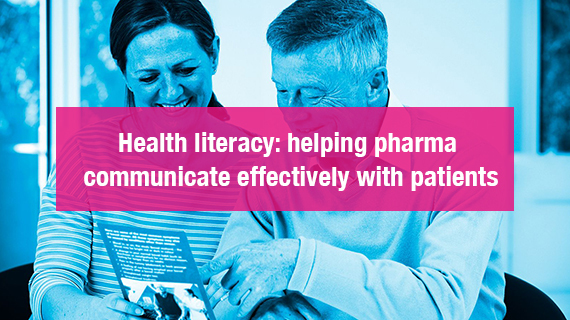 Individuals with low health literacy tend to have poorer health, find medication more difficult to manage, and have greater hospitalisation and mortality rates than those with high health literacy. On top of this, low health literacy is estimated to cost the American healthcare service hundreds of billions of dollars a year. Perhaps surprisingly, health literacy levels in the UK, Europe and the US are generally low. Indeed, a recent, UK-based study found that 43% of people could not understand commonly-available information leaflets enough to make an informed decision about their health. When the information included numbers, the proportion of patients who could not fully understand the leaflets rose to 61%. This study also found that more than 90% of adults could understand information only when it was written for a reading age of 9-11 years. This may seem obvious, but using simple language is surprisingly difficult in healthcare communication because it is often necessary to include complex medical terminology. One useful resource is the Simple Measure of Gobbledygook (SMOG) calculator – an online tool that calculates the complexity of text; when writing for patients, you should aim for a maximum score of 12 (equivalent to a reading age of 12-14 years). Providing a glossary, with medical terms also written phonetically, can help patients to familiarise themselves with the language associated with their condition. When numbers or statistics need to be included, be consistent in the way that these are presented, as switching between percentages and fractions, for example, can confuse many readers. A visual representation of the numerical data can aid understanding. When writing for patients, and the public, information should be presented in an easily accessible way: use large text (14-point size or above) with adequate line spacing; don’t split words across lines; make sure you leave plenty of white space in the layout and use bold, lower-case text for emphasis. Unrelated images or graphics should not be used only to make the material more visually appealing, because this could be both distracting and confusing. Any diagrams or pictures used must support, and be directly relevant to, the text. Keep images simple, but avoid patronising readers. When designing health information, it is crucial to consider the users’ needs and the environment in which they will be engaging with that information. Use of electronic formats is increasingly common, but not always appropriate. Different generations prefer to access information in different ways – and some conditions can change or limit the way in which patients engage. Don’t assume that a trifold leaflet or an app, for example, is always the best solution. Read the full edition of Deep Dive: Patient centricity here. Read the latest issue – Deep Dive: Oncology here.